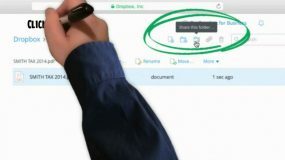 Here’s a real quick breakdown — about 1 min 17 seconds on how to upload your tax documents on Dropbox.com so you can conveniently share them with us. Once you share them with us, we’ll store your confidential information on our secure databases and start working on your tax return. 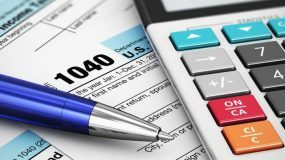 Find out how you or your child can get a tax credit for going to college or some other post-secondary education institution. Get even more information by typing “education center” in the search field at IRS.gov. 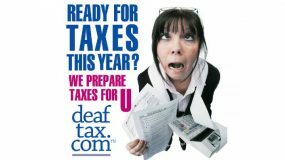 DeafTax.com provides tax preparation and planning services for the U.S. deaf community. Through the use of cutting edge e-business practices and videophone technology, we provide high quality services and consultation to Deaf clients across the country. 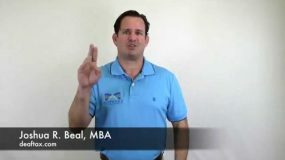 Opening DeafTax.com announcement for deaf and hard of hearing consumers who need tax preparation services from a team of qualified deaf and ASL fluent tax professionals. 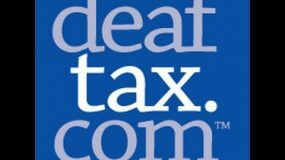 DeafTax.com is located in Betheda, MD. 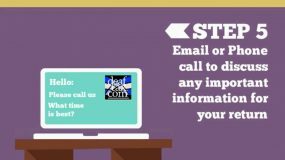 Tax preparation services are available to all consumers across the U.S. by Video-Phone, Email, Fax and Instant Message. 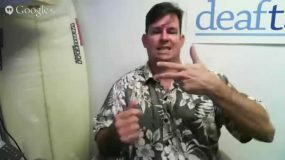 DeafTax.com’s first commercial in 2007. 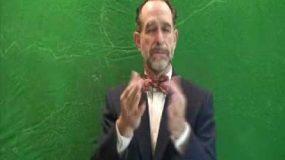 Features Stella & Branic Keltz and Deaf Tax Man, Joshua R. Beal. Zack Anderson is an Amazing Designer; Our New Website is Almost Done!